BT50 FMH DIA 1 1/2" - 60 (2.36") Face Mill Holder (Balanced to G 6.3 15000 RPM) 50 1 1/2" 60(2.36") 0.938" 3.75"
BT50 FMH DIA 1 1/4" - 60 (2.36") Face Mill Holder (Balanced to G 6.3 15000 RPM) 50 1 1/4" 60(2.36") 0.687" 2.875"
BT50 FMH DIA 1.0" - 60 (2.36") Face Mill Holder (Balanced to G 6.3 15000 RPM) 50 1.0" 60(2.36") 0.687" 2.375"
BT50 FMH DIA 3/4" - 60 (2.36") Face Mill Holder (Balanced to G 6.3 15000 RPM) 50 3/4" 60(2.36") 0.687" 2.0"
Item Name ISO D L1 L2 D2 BT50 FMH DIA 1 1/2" - 60 (2.36") Face Mill Holder (Balanced to G 6.3 15000 rpm) &.. Item Name ISO D L1 L2 D2 BT50 FMH DIA 1 1/4" - 60 (2.36") Face Mill Holder (Balanced to G 6.3 15000 rpm) &.. Item Name ISO D L1 L2 D2 BT50 FMH DIA 1.0" - 60 (2.36") Face Mill Holder (Balanced to G 6.3 15000 rpm) &nb.. Item Name ISO D L1 L2 D2 BT50 FMH DIA 3/4" - 60 (2.36") Face Mill Holder (Balanced to G 6.3 15000 rpm) &nb.. Item Name ISO D L1 L2 D2 BT50 FMH16 060 Face Mill Holder (Balanced to G 6.3 15000 RPM) (DIN 6357) 50.. Item Name ISO D L1 L2 D2 BT50 FMH16 100 Face Mill Holder (Balanced to G 6.3 15000 RPM) (DIN 6357) 50.. 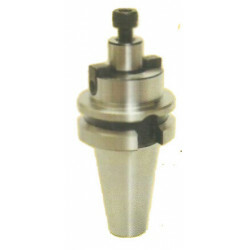 Item Name ISO D L1 L2 D2 BT50 FMH16 160 Face Mill Holder (Balanced to G 6.3 15000 RPM) (DIN 6357) 50.. Item Name ISO D L1 L2 D2 BT50 FMH22 060 Face Mill Holder (Balanced to G 6.3 15000 RPM) (DIN 6357) 50.. Item Name ISO D L1 L2 D2 BT50 FMH22 100 Face Mill Holder (Balanced to G 6.3 15000 RPM) (DIN 6357) 50.. Item Name ISO D L1 L2 D2 BT50 FMH22 160 Face Mill Holder (Balanced to G 6.3 15000 RPM) (DIN 6357) 50.. Item Name ISO D L1 L2 D2 BT50 FMH22 200 Face Mill Holder (Balanced to G 6.3 15000 RPM) (DIN 6357) 50.. Item Name ISO D L1 L2 D2 BT50 FMH22 300 Face Mill Holder (Balanced to G 6.3 15000 RPM) (DIN 6357) 50.. Item Name ISO D L1 L2 D2 BT50 FMH27 060 Face Mill Holder (Balanced to G 6.3 15000 RPM) (DIN 6357) 50.. Item Name ISO D L1 L2 D2 BT50 FMH27 100 Face Mill Holder (Balanced to G 6.3 15000 RPM) (DIN 6357) 50.. Item Name ISO D L1 L2 D2 BT50 FMH27 160 Face Mill Holder (Balanced to G 6.3 15000 RPM) (DIN 6357) 50.. Item Name ISO D L1 L2 D2 BT50 FMH32 060 Face Mill Holder (Balanced to G 6.3 15000 RPM) (DIN 6357) 50.. Item Name ISO D L1 L2 D2 BT50 FMH32 100 Face Mill Holder (Balanced to G 6.3 15000 RPM) (DIN 6357) 50.. Item Name ISO D L1 L2 D2 BT50 FMH32 160 Face Mill Holder (Balanced to G 6.3 15000 RPM) (DIN 6357) 50.. Item Name ISO D L1 L2 D2 BT50 FMH40 060 Face Mill Holder (Balanced to G 6.3 15000 RPM) (DIN 6357) 50.. Item Name ISO D L1 L2 D2 BT50 FMH40 100 Face Mill Holder (Balanced to G 6.3 15000 RPM) (DIN 6357) 50.. Item Name ISO D L1 L2 D2 BT50 FMH40 160 Face Mill Holder (Balanced to G 6.3 15000 RPM) (DIN 6357) 50..
What is BT50 Face Mill Holder? Where can I buy BT50 Face Mill Holder Online?